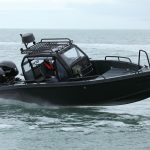 XO’s new DFNDR model is one of their toughest and most user-friendly designs yet by with a unique “mini-wheelhouse” offering the ultimate comfort for adventuring and outdoor activities. 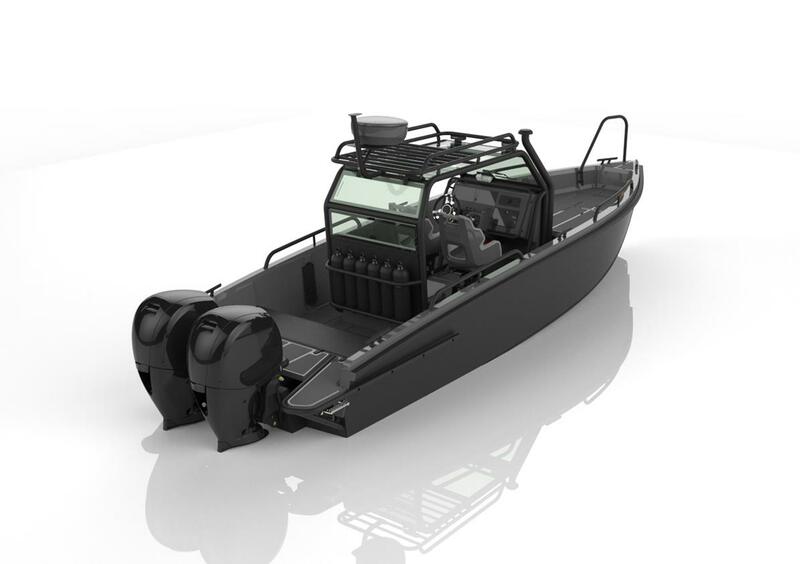 The format has been specifically designed for tough and demanding use, perfect for commuting and watersports with large deck spaces and spacious storage for everything from waterskis to paddleboards. 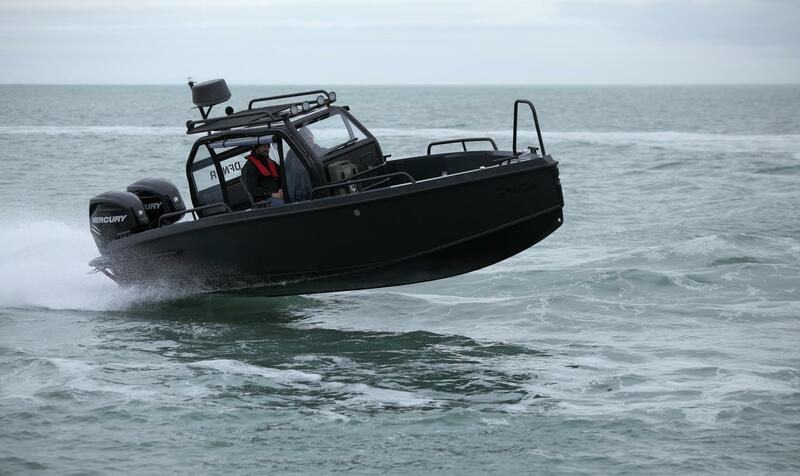 The convertible mini-wheelhouse offers great protection from the elements with a rigid fore & aft windscreen and sliding roof hatch above, with clever zip-in sides which can easily be removed making for a fun open boat experience, but with the added protection of the screens. 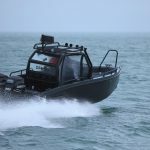 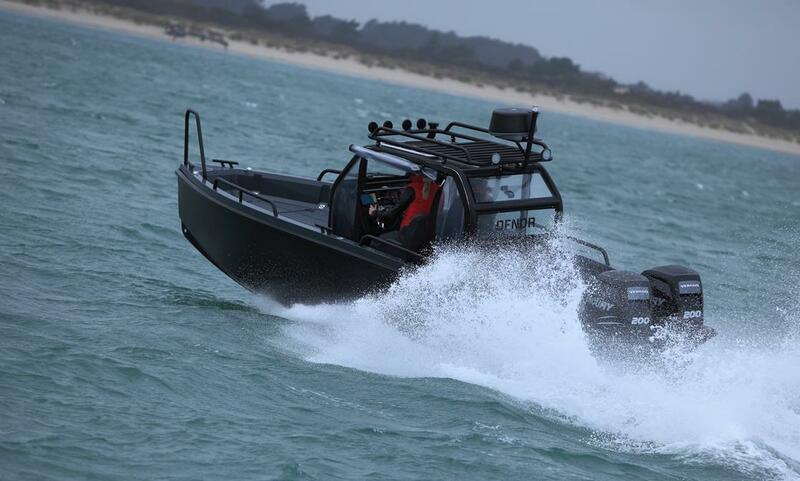 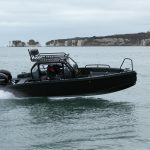 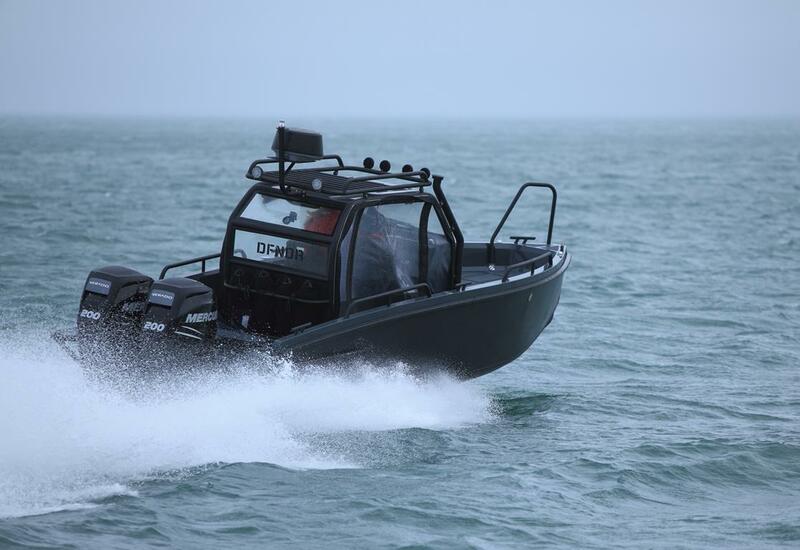 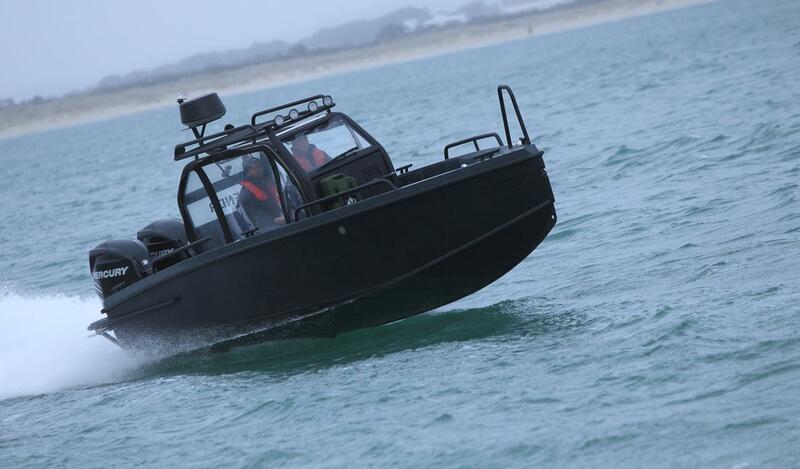 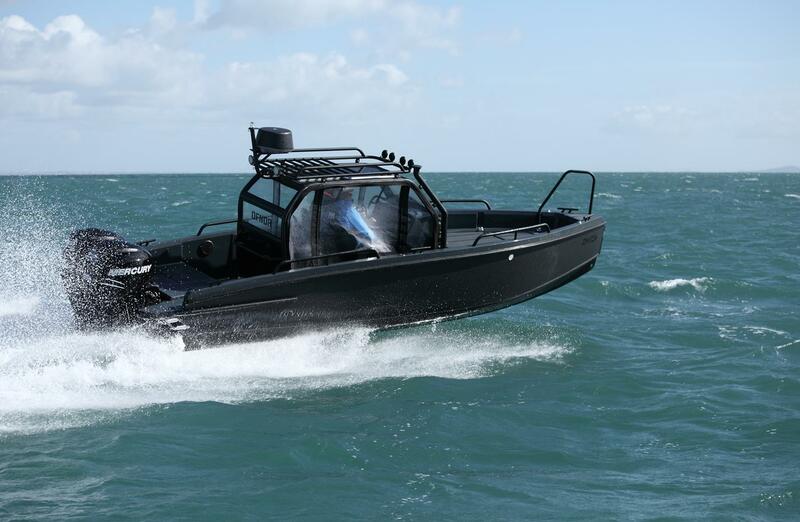 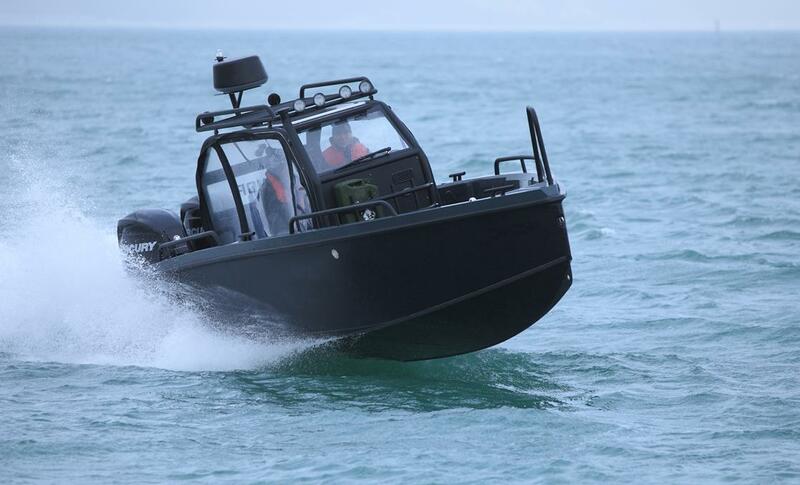 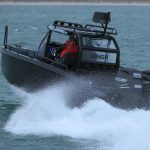 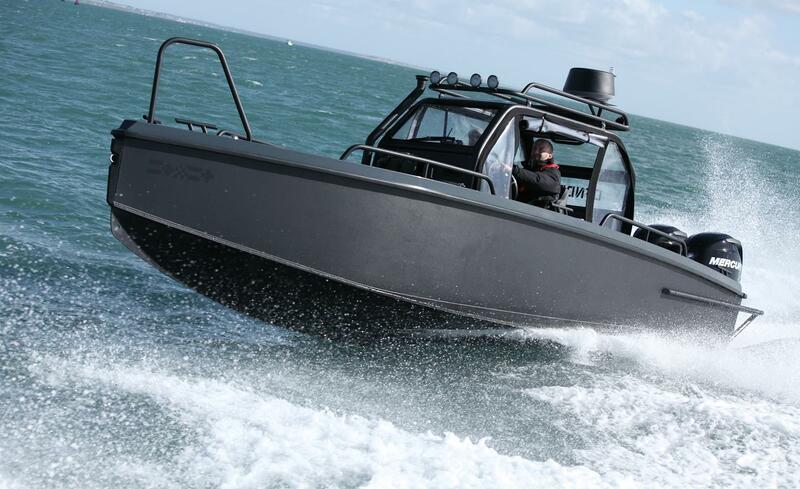 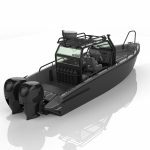 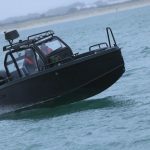 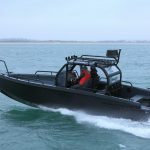 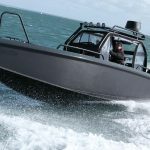 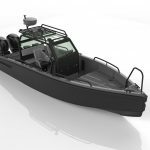 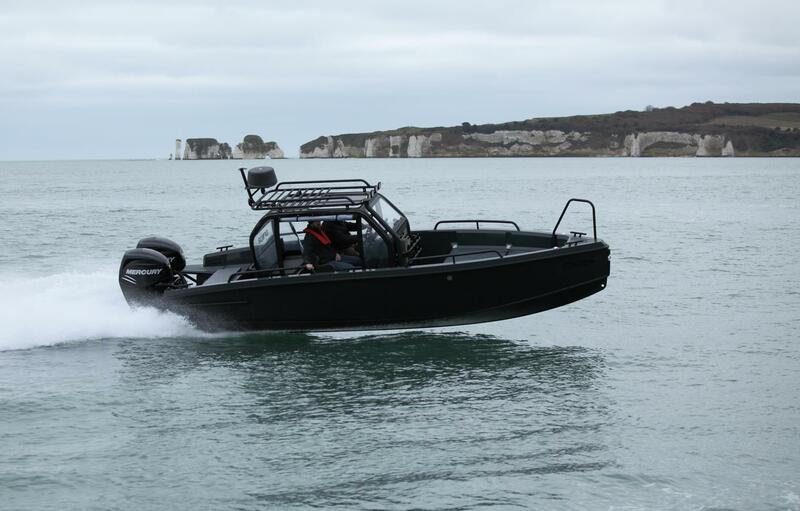 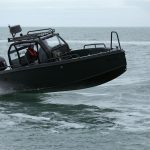 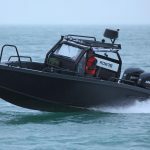 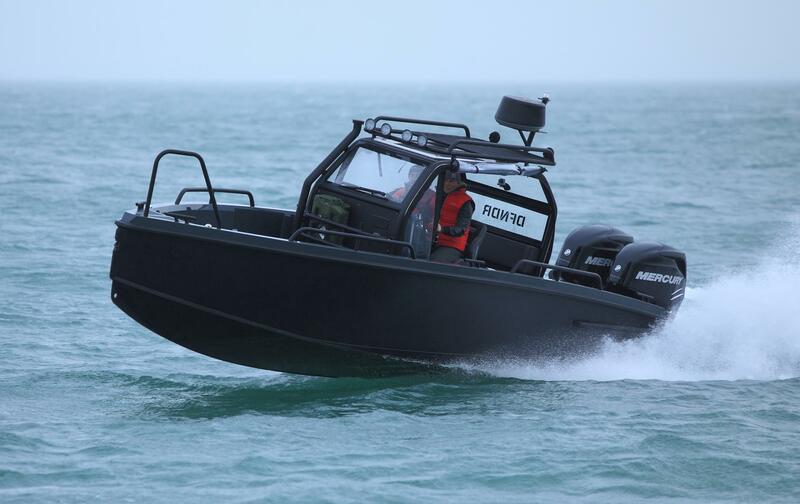 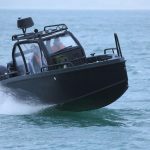 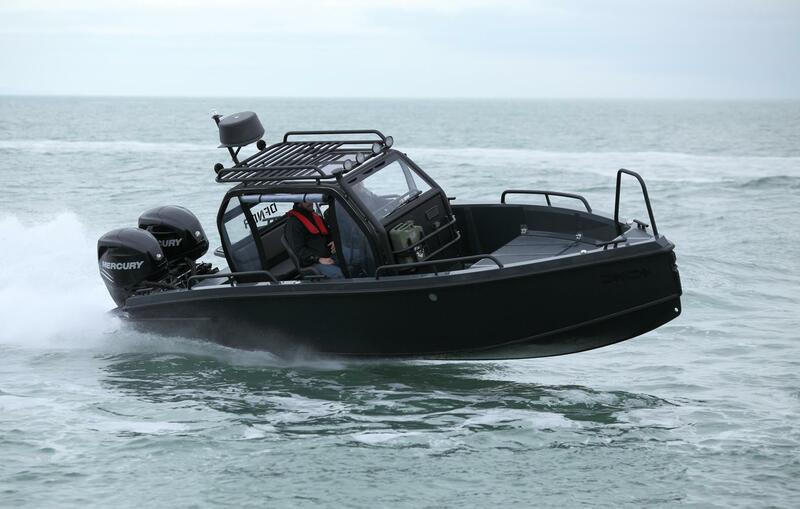 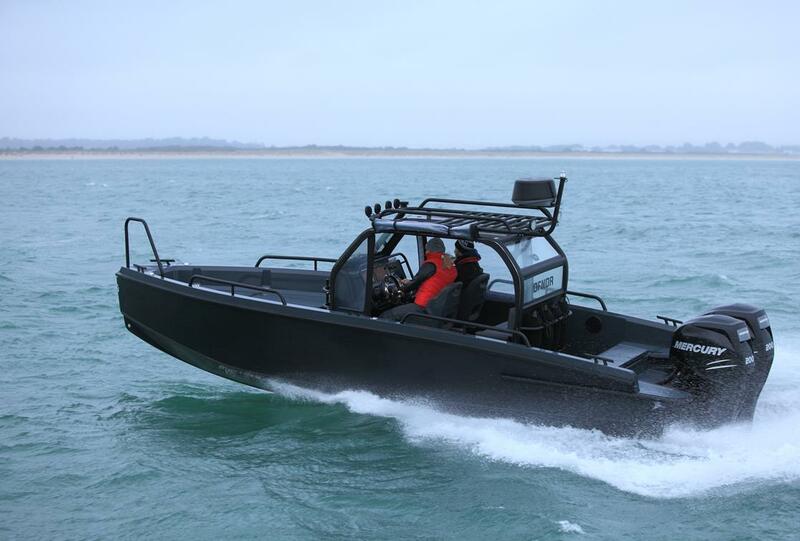 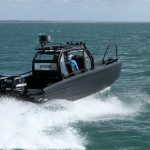 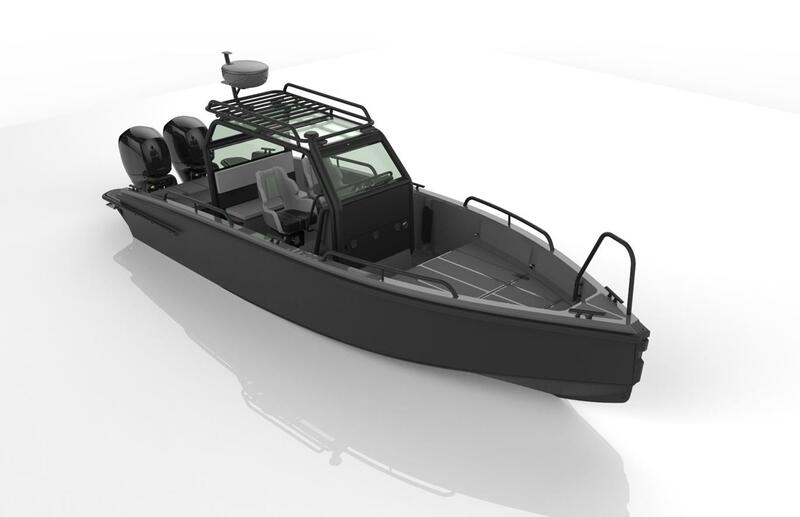 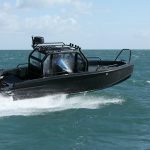 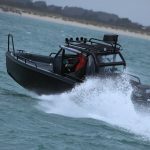 As with every XO, driver experience is key, with the military grade aluminium hull offering superior sea-keeping ability and great comfort in all conditions. 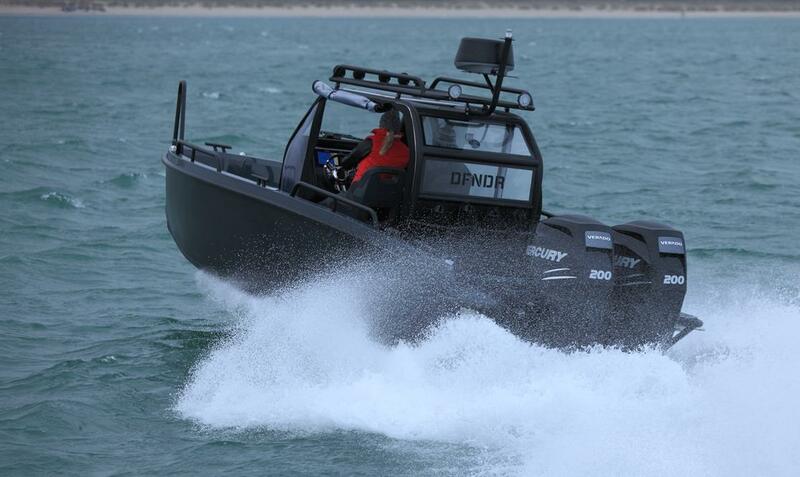 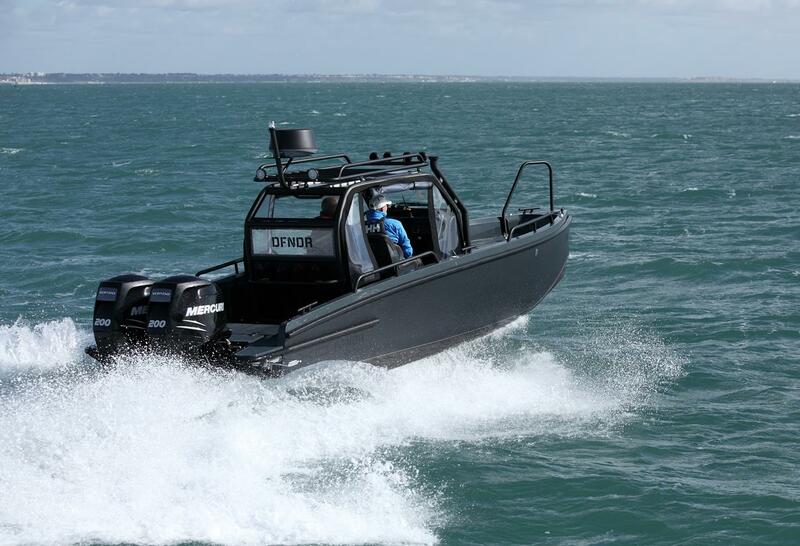 Performance is again strong, with either single or twin outboards allowing the DFNDR to reach speeds up to 45 knots.